Chie Furukawa, writer Hideo Furukawa, writer Mieko Kawakami, editor and translator Motoyuki Shibata, Hitomi Shibata, editor and translator Miwako Ozawa. Those cats are dressed for success. All have clean & new-looking footwear. I just recently became self-conscious about footwear as it was brought to my attention that I'm a footwear slob. It's one of those weird things that has never bothered me but now is driving me a little crazy because yes I have to admit I have no good pairs of shoes but at the same time . 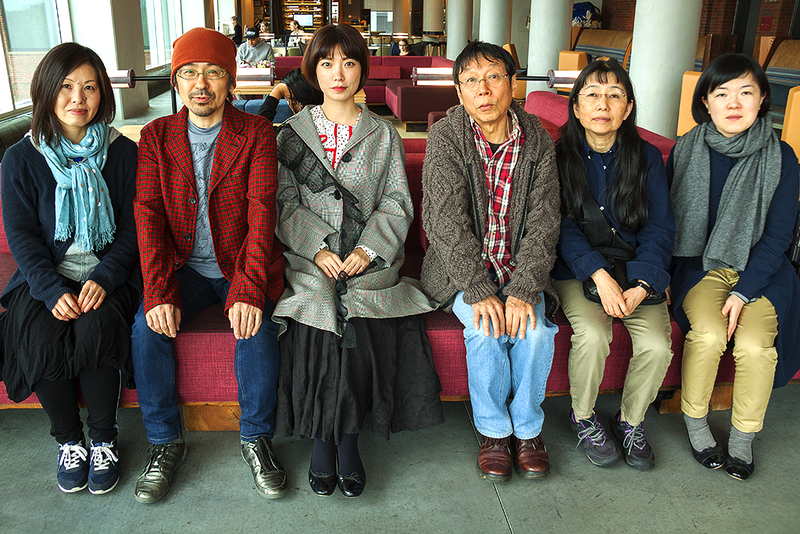 . . these crazy Japanese writer/intellectual-types know how to accessorize. My tired, old & crusty, baseball-Dad-cap off to them. Yes, they're all very sharp dressers. I'd love to go to Japan and see how the less sophisticated are attired.